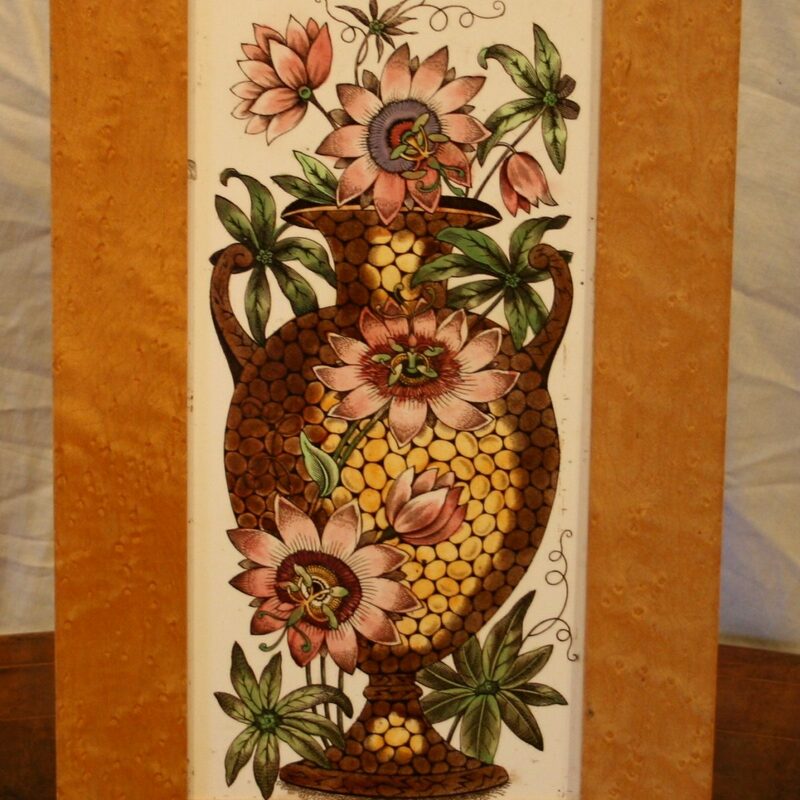 A large Victorian ceramic tile depicting an urn with passion flowers. 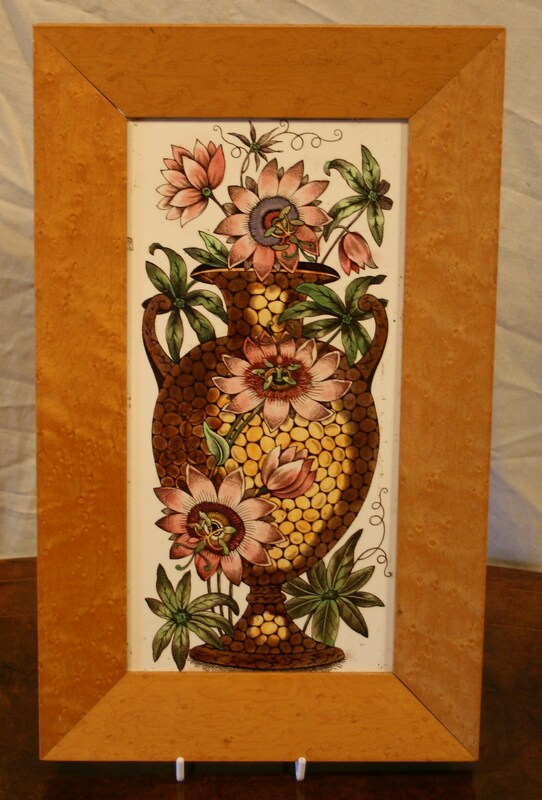 It was transfer printed in brown on a white tile and hand painted and then fired. 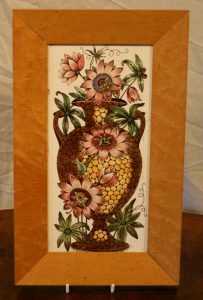 It is believed to be the work of the leading Staffordshire tile manufacturer George Wooliscroft & Sons and made circa 1885. It has a Birdseye maple frame.